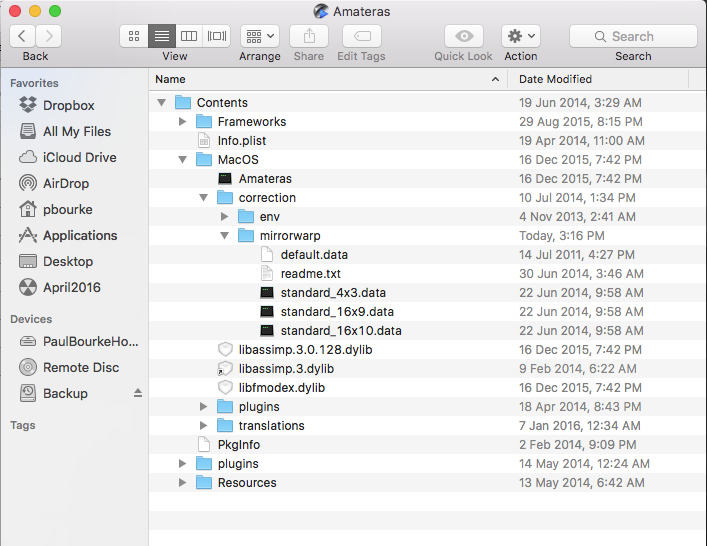 This is a brief note on the Amateras software for fulldome movie projection, although it is more than just a movie player with built-in transitions and tools to put together rich multiple sequence fulldome content. 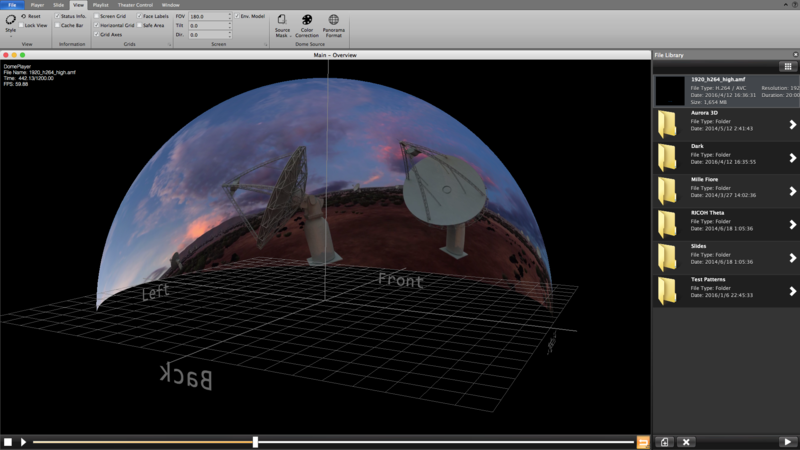 It is included here because it supports the warp mesh files by the author that are required for spherical mirror projection, but also other applications such as off-axis fisheye and correcting for fisheye lens radial distortions. The really powerful aspect of the software is the ability to have a console and a projector view. 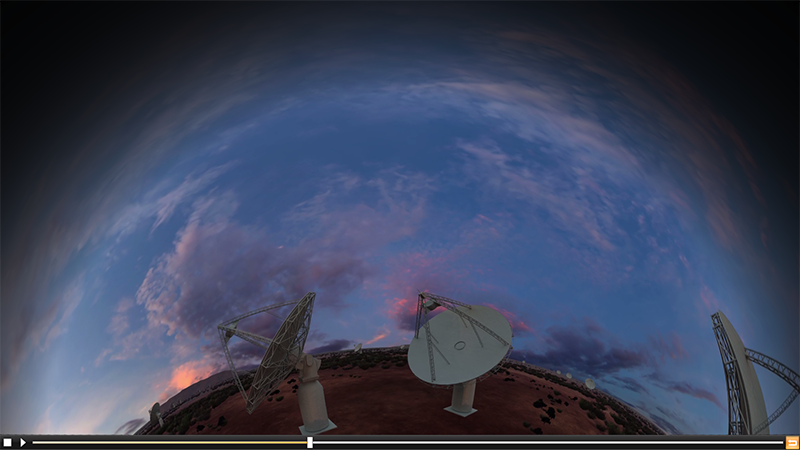 The console view can be a simple fisheye view or a 3D view of the dome as shown above. The projector view would normally be a full screen window of the content playing on the projector. It is not the purpose of this web page to document all the features, but there is a rich set indeed. This includes a simple scripting language for more versatile automated controls, the ability to export shows built within Amateras, remote controls using a range of tablets, ability to control some makes of theatre lighting, stereoscopic 3D support, Oculus rift presentation (although not sure how useful that really is), and presentation of non-fisheye materials such as standard images/movies and spherical content. One slightly annoying thing is to need to split the music track from the movie. But there are lots of tools around to split off the sound track into a separate wav file. Just ensure it is loaded into the same directory with the same name as the movie file. At the time of writing the instructions to where to add a custom warp mesh don't apply to the Mac version. One needs to right click to open the application package contents and navigate to the "mirrorwarp" directory, see screen shots below. The manual refers to "alt-enter" to fullscreen a window, on the projector screen for example. On the Mac OSX this appears to be "option-return". To switch modes in the projector menu there are short cut keys. For spherical mirror the key is "m". The powerful thing about supporting warp mesh files is that they can enable the software to be used in environments one might not have imagined. 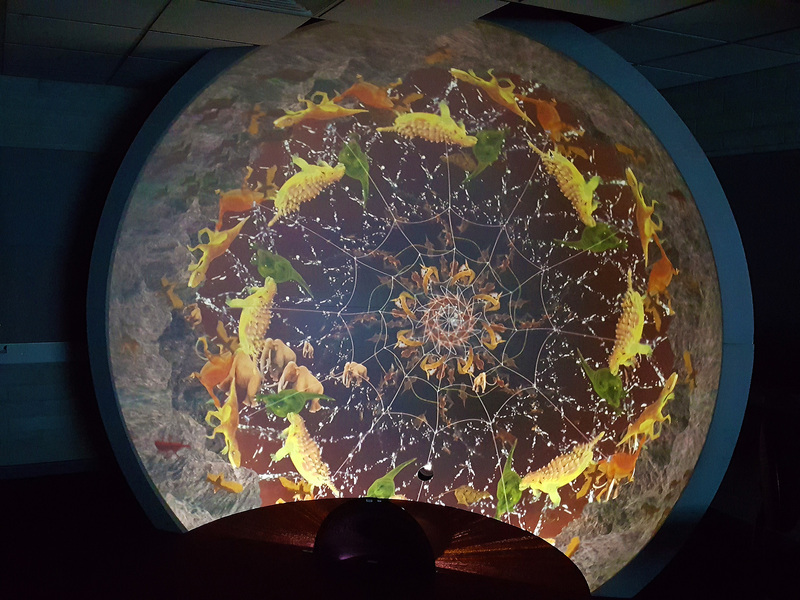 An example of this is a dome orientated like an iDome, another is for fisheye systems that require an offset fisheye projection, and even for projection mapping into arbitrary spaces or onto arbitrary surfaces.